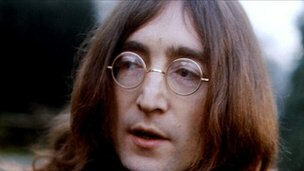 A Canadian dentist has bought one of John Lennon’s teeth for £19,500 at an auction in Stockport. Alberta-based Michael Zuk bid by phone to secure the molar given by the former Beatle to his house keeper Dot Jarlett, who worked for him in the 1960s. The tooth was from a collection of rock memorabilia owned by Alan McGee, former boss of Oasis’s label Creation Records. Other items being sold included oil paintings from John Squire of the Stone Roses and gifts from politicians. He plans to display the tooth in his surgery as well as take it on a tour of other dental surgeries and dental schools.